Now that you have chosen all your equipment and are out the door, the next decision is my 4th Tip “What to Photograph”. If you are in a big city such as New York or London, certainly places like The Empire State Building or Trafalgar Square are going to be places you want to check out. By all means go to these locations, as they are unique, however I would suggest going there at off peak times. If your schedule permits, try and see these locations during the middle of the week, say Tuesday through Thursday, as there will be less of a crowd. Having said that, try finding locations or subjects that are “off the beaten path”, something that allows you to be creative and use your imagination when composing a photo. Shooting at locations that have their own characteristics and charm are places you should seek out in order to allow your imagination and creativity to shine. Popular locations have been photographed to death, so the chances of any of us coming up with a unique point of view are slim. Do try to create your own style when shooting lesser known locations, this is where you can explore your ideas for composition, lighting and using different lenses. Some examples of “off the beaten path” subjects or locations are: Cemeteries, subways, abandoned buildings, small parks, side streets,statues,street signs, colorful boutiques, neighborhood bars and restaurants,taxis. One of my favorite things to do while walking in any city is check out the graffiti, whether that’s spray paint,random signs hanging on billboards that create an usual pattern or tell a funny story, even stickers that are placed on telephone poles provide a quality photo opportunity. This you can do while walking to other more popular photo locations. Try the lower profile locations on the weekend that way you will not be pressed for time and space, two elements essential to any quality photograph. Stay tuned for a new tip next week and also June’s Photography Specials. 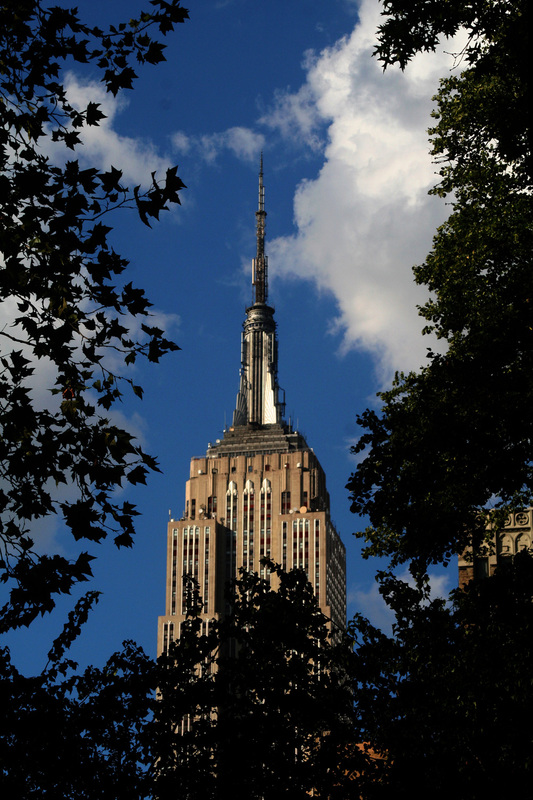 Below is an example of a photograph of a popular location(The Empire State Building) shot from a different perspective.